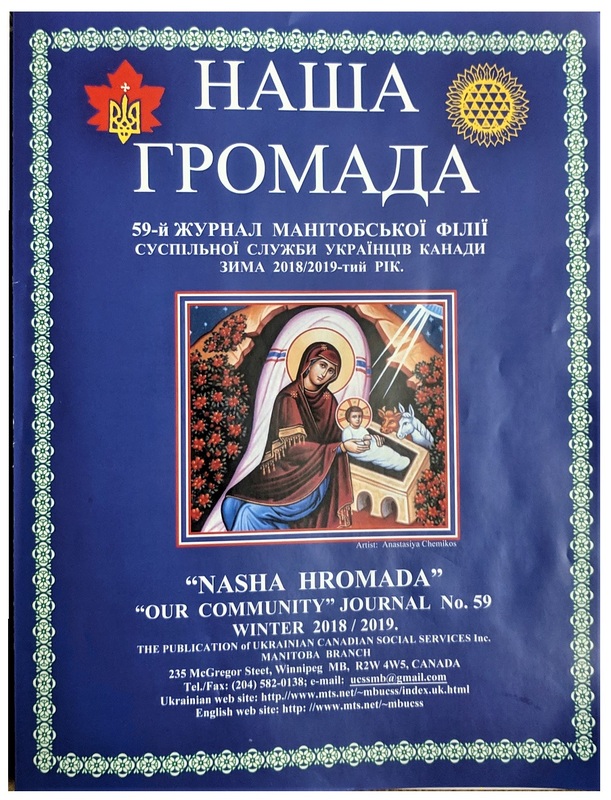 You will want to pick up a copy of the Winter 2019 periodical "Nasha Hromada", which is often found in the back of churches or at establishments frequented by members of Manitoba's Ukrainian community. The journal, edited by the President of the Manitoba Branch of the Ukrainian Canadian Social Services - Yaroslava Demko, is filled with articles and items that any reader will find of interest. Whether you want something to peruse over your morning coffee or your evening tea or something to read and discuss as a family - there will be an item or two to inspire thought and compel one to further research. The most recent edition touches upon a number of issues that have recently made the news again as the true history is debated... the Holodomor, the Volyn Tragedy. There are articles with news from and about Ukraine, including: the ongoing challenge of securing the language... a Winnipeg composer, Lubomyr Melnyk, is on a very successful tour of Ukraine... and more. The journal include health advice and recipes. Ukrainian Christmas and New Year traditions are promoted and made easily available in the pages of Nasha Hromada. На щастя, на здоров'я, на цей Новий Рік! Щоб Вам ліпше поводилось, як торік!